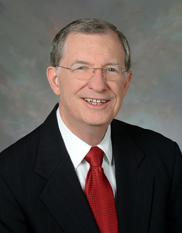 Elected in November 2006, Willis Meadows is serving his fourth term on County Council. He is a longtime resident of District 19. He is an insurance agent and the owner of Willis Meadows Insurance. Prior to entering the insurance business he was an administrator at Greenville High School, principal at Travelers Rest High School, and Headmaster at Shannon Forest Christian School. He has served the community by being the Chairman of the Greenville Legislative Delegation Transportation Committee, Chairman of the Board of Directors of Greenville Federal Credit Union, Chairman of the Board of Directors of Miracle Hill Ministries, and an elder at Mitchell Road Presbyterian Church. Active in the Republican party, he is the Enoree Precinct Executive Committeeman and has been a delegate to the county and state conventions. Willis and his wife, Joanne have two children, Ken Meadows and Tessa Barron. They have five grandchildren, Andrew and Allison Meadows; Molly, Seth, and Will Barron.Willis and his wife, Joanne have two children, Ken Meadows and Tessa Barron. They have five grandchildren, Andrew and Allison Meadows; Molly, Seth, and Will Barron. Councilor Meadows serves as Vice Chairman of County Council and is a member of the Finance Committee and the Public Safety and Human Services Committee.